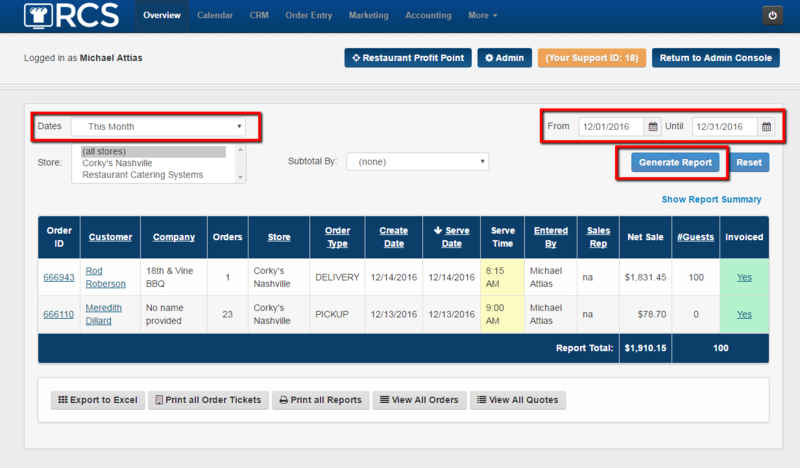 This article will go over how to use the overview tab to view orders for a date range that you have chosen. The Overview Tab is the default tab that an employee will first see when logging into the account. 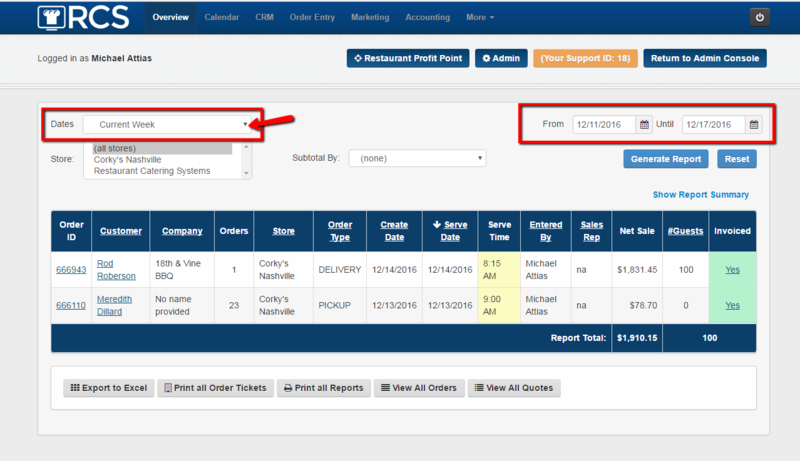 1 - So when an employee first logs in at: www.RestaurantCateringSystems.com/admin the Overview tab will be the page they are brought to after logging in. 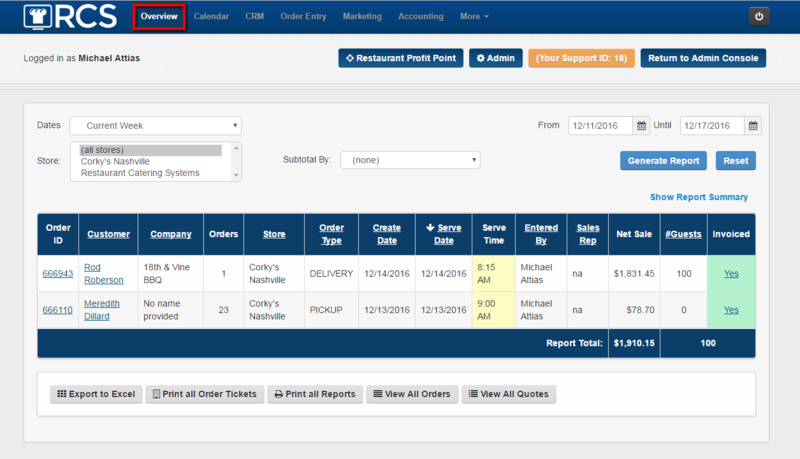 2 - The Overview tab will show you all the orders you have in your CaterZen system within the date range you have chosen. You can choose a date range by clicking on the drop down box or by selecting a custom date range. 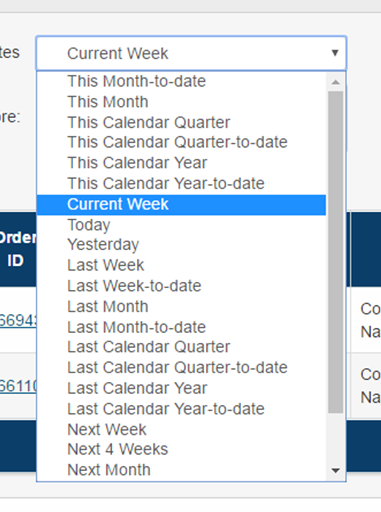 *By default when first logging in the Current Week will be selected as the date range for the drop down box. 3 - After selecting a date range from the drop down or the custom date range box click on the Generate Report tab. 4. 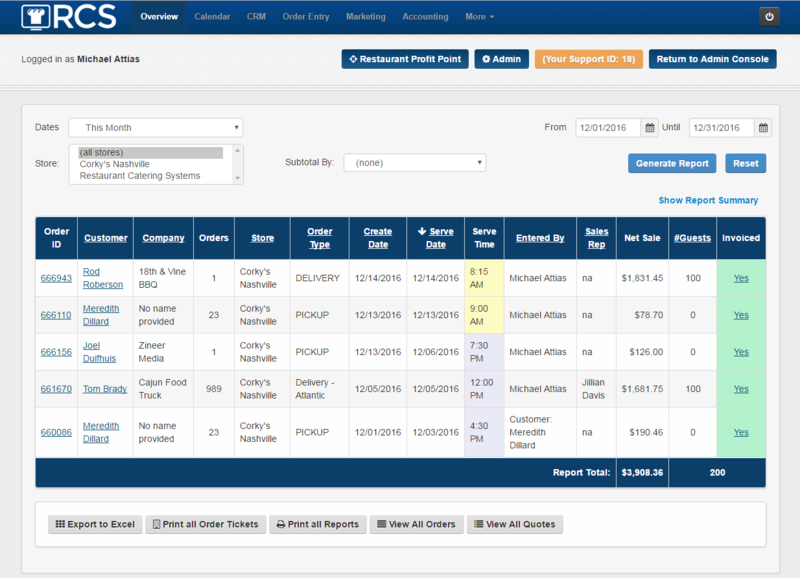 Once you have clicked on the Generate Report tab then the new date range of orders will appear. You have now learned how to use the Overview Tab to view orders for a specific date range.